Published on June 21, 2014 April 26, 2016 by Rachelle J.
Austin Public Library. The closest branch to where I live is about 3 miles away. Today was my first visit since I moved to Austin. Usually, in any library, I go straight for whichever section has the book(s) I looked up beforehand. That’s usually Fiction. 4. Share a link to your library’s web page. How often do you use it and what for? So far, I’ve only used this website to look up the address of the nearest branch, but typically I use a library’s website to search for the books I want to read before I head out to the library. Yes! I was a bit surprised to find out there is a Summer Reading Program for Adults. 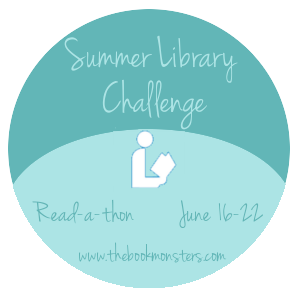 It started June 1st, and runs until the end of August, and for every five books I read, I can enter to win prizes. I will be participating. The hours they’re open. Every branch is closed two days a week, and at least two other days of the week it’s only open for a few hours. 7. What programs have you attended or thought of attending at your library? I considered joining one of the many book clubs, but none of them grabbed my interest. The majority of the other programs are either for kids or writers. 8. What is the best thing about your library? The “Virtual Library”, the library’s downloadable materials section. Since the hours are limited, I’ll probably be “checking out” more e-books than physical books from the local branch. That’s crazy that each branches closes two days. I remember lamenting when the library closes on Sundays where I used to live (just during the school year). Which didn’t make a lot of sense, or maybe it was the other way around.. just during the summer. I know one of our branches closes early on Fridays but they even extended that recently. Good thing they have a great virtual section so you can get what you need electronically.